This September, United Food Bank, which serves all of the East Valley and eastern Arizona, is working to inspire local Arizonans to take action and raise awareness about the 228,000 people, including 84,170 children, in our region who don’t know where they will get their next meal. The effort is part of Feeding America’s Hunger Action Month, a nationwide effort to mobilize people throughout all 50 states to work toward ending hunger. United Food Bank is a member of the Feeding America network of food banks. “At United Food Bank, we’re in the ‘business’ of feeding people who are hungry,” says United Food Bank President and CEO Dave Richins. “No matter what circumstances brought them to a place of food insecurity, it is our mission to make sure they can receive nourishing food. We can’t eradicate hunger, or all of the situations in which people find themselves, but working with our more than 220 community partners, we are making a real difference in reducing food insecurity in the five Arizona counties in which United Food Bank serves. To learn more about United Food Bank, volunteer opportunities, ways to donate, and how to purchase tickets for the annual Orange Ball fundraising gala on Sept. 22, visit http://www.unitedfoodbank.org. 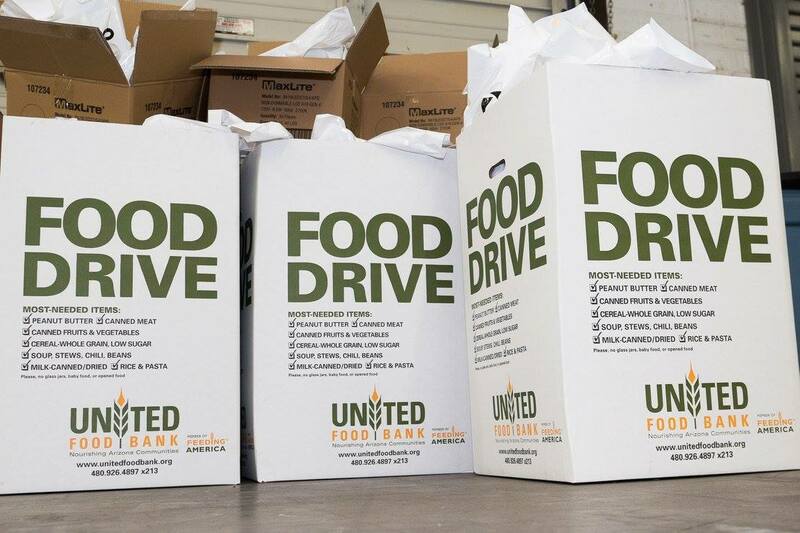 This year, United Food Bank celebrates 35 years as a 501(c)(3) nonprofit organization that provides hunger relief to people in need in the East Valley and eastern Arizona. We collect, acquire, store and distribute food and related commodities to more than 220 partner agencies that serve more than 228,000 people in need across more than 19,500 square miles. Last year, United Food Bank distributed almost 24 million pounds of food providing nearly 19.5 million meals to our neighbors in need.